South Australian energy customers will soon have access to cheaper electricity prices, provided they use power at times of low network demand. 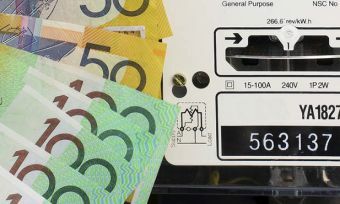 The Australian Energy Regulator (AER) has approved a range of new electricity tariff options which will allow retailers to charge households different rates depending on when they use power. Generally based on peak and off-peak periods, customers will see much lower prices when there is low energy demand, but even higher rates during times of very high demand, including weekday evenings. Currently, the vast majority of South Australian households are subscribed to single rate tariff plans, meaning they are charged the same rates for power regardless of the time of day they use it. Rates do, however, vary depending on the amount of energy a household uses during the day – known as ‘block rates’. How do the new tariffs work? The new ‘demand’ tariffs approved by the AER are likely to be similar to those already being rolled out in Victoria, with prices reflecting the demand on the energy grid. If customers use power at peak times, they will be charged significantly more than they would if they use power at off-peak times. In Victoria, prices can vary from as low as 14c per kWh during off-peak times up to around 40c per kWh at peak times. The idea, the AER says, is that customers take more control of their energy usage and adjust their habits to benefit from cheaper prices. The regulator has also announced an increased rollout of smart meters which will facilitate the new tariffs. Smart meters can also be a helpful tool in better understand energy bills, providing figures on how much energy is being used at up to 30 minute intervals. Are the new tariffs a good idea? The regulator suggests the move could help ease the pressure on South Australia’s electricity network, reducing the chances of further blackouts caused by a lack of electricity supply during periods of high demand, such as hot summer days. The introduction of the new tariffs, coupled with the rollout of smart meters from December 2017, has been described by the AER as a key reform “enabling South Australian consumers to change their electricity usage patterns at times of high demand”. AER board member Jim Cox said: “These changes to network tariffs allow retailers to develop offers that help consumers get better value from the energy choices they make. Choices about how and when they use electricity and what new technology they buy. “These tariff reforms will also help promote better use of the existing poles and wires by rewarding customers for shifting their electricity consumption to off-peak periods. This will help reduce the need for future network upgrades and replacement, lowering prices for all customers in the long run,” he added. Mr Cox said much of the cost of building the South Australian network is to deal with only a few days of very high electricity demand during the height of summer each year. “South Australia stands to achieve bigger long term gains than other states and territories through lower network investment and lower prices for consumers if peak demand can be reduced,” he said.